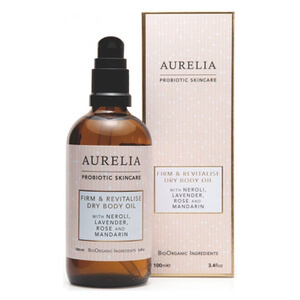 Replenish skin from head to toe with the Aurelia Skincare Firm & Replenish Body Serum; an intensive formula that seeks to transform the condition of all skin types. The revolutionary texture effortlessly glides over the body, absorbing instantly to meet skin’s needs. Enriched with signature African botanicals Baobab and Kigelia Africana, the serum delivers a nourishing veil of omegas, essential fatty acids and vitamin E, which works to simultaneously pamper, protect and visibly firm the body. Shea and Cocoa Butters work in synergy to provide a comforting feel to skin, leaving it touchably soft and enviably smooth, whilst a dose of Argan Oil offers long-lasting moisturisation. Finished with an intelligent blend of steam-distilled essential oils, the body serum not only pampers skin, but delivers therapeutic benefits to encourage feelings of relaxation, calm and balance. 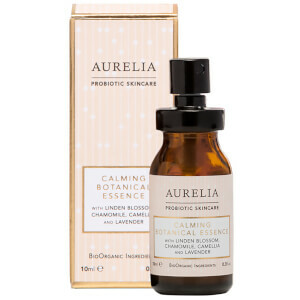 Notes of Mandarin and Angelica Root provide a sensation of calm, whilst a blend of Lemongrass and Chamomile seek to invigorate both the mind and body. Expect ultra-smooth and supple skin that is comfortably hydrated and delicately fragranced. Free from parabens, sulphates, mineral oils and MI. Cruelty-free. Dermatologically tested. Made in England. Выдавите средство на ладонь и обильно нанесите на чистую сухую кожу тела. Сыворотка мгновенно впитывается, поэтому сразу после процедуры можно одеваться. Для достижения наилучших результатов используйте в сочетании с очищающим и восстанавливающим средством Restorative Cream Body Cleanser, не содержащим сульфатов. ПРИ МНОГОСЛОЙНОМ УХОДЕ: используйте отдельно или перед нанесением укрепляющего и восстанавливающего масла для сухой кожи тела Firm & Revitalise Dry Body Oil для еще более интенсивного увлажнения в рамках гармоничного комплексного действия двух средств. Aqua/Water/Eau, Coco-Caprylate (Coconut Derived), Glyceryl Caprylate/Caprate (Vegetable Derived), Cetearyl Alcohol (Vegetable Derived), Prunus Amygdalus Dulcis (Sweet Almond) Oil, Glyceryl Stearate (Naturally Derived), Arachidyl Alcohol (Vegetable Derived), Butyrospermum Parkii (Shea) Butter, Cetearyl Glucoside (Derived From Corn Sugar), Argania Spinosa Kernel (Argan) Oil, Angelica Archangelica Root Oil, Anthemis Nobilis (Chamomile) Flower Oil, Boswellia Carterii (Olibanum) Oil, Cananga Odorata (Ylang Ylang) Flower Oil, Citrus Aurantium Bergamia (Bergamot) Fruit Oil, Citrus Grandis (Grapefruit) Peel Oil, Citrus Nobilis (Mandarin Orange) Peel Oil, Cymbopogon Citratus (Lemongrass) Oil, Juniperus Virginiana Wood Oil (Cedarwood), Lavandula Angustifolia (Lavender) Herb Oil, Tocopherol (Vitamin E), Salicylic Acid (Vegetable Based), Hibiscus Sabdariffa Flower Extract, Kigelia Africana Fruit Extract, Sodium Phytate (Rice Based), Adansonia Digitata (Baobab) Fruit Extract, Glycerin (Vegetable Derived), Sorbic Acid (Natural Preservative), Citric Acid (Derived From Lemons), Dehydroacetic Acid (Natural Association Approved Preservative), Behenyl Alcohol (Naturally Derived), Glyceryl Caprylate (Coconut Derived), Hydroxyacetophenone (Preservative Booster), Benzyl Alcohol, Arachidyl Glucoside (Vegetable Derived), Dehydroxanthan Gum (Naturally Derived), Sodium Hydroxide, Limonene*, Linalool*, Citral*, Geraniol*, Benzyl Benzoate*, Benzyl Salicylate*, Farnesol*, Eugenol, Isoeugenol* (*Naturally Occurring In Essential Oils).